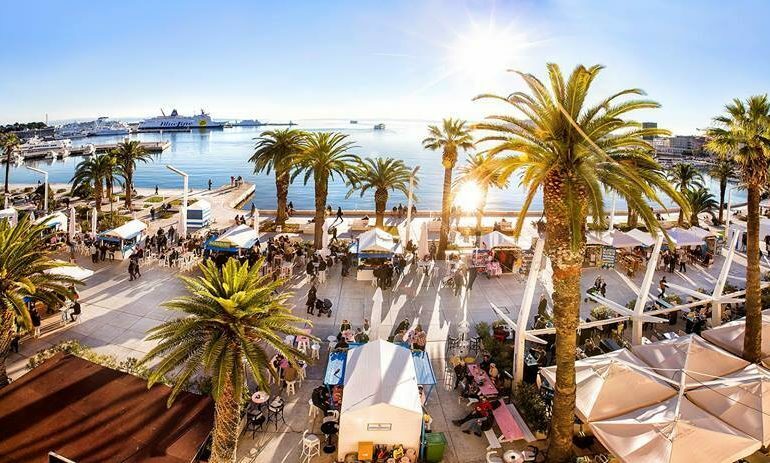 Natural beauty and historical heritage are just one part of the gorgeous repertoire along Split Riviera! Whether you choose to get acquainted with its cuisine, beaches or cultural and historical treasures, you are on the right track to have a fabulous experience as a tourist! Judging by the growing interest in this region, on the world tourism stage, it seems that many share our opinion, so, in order to get inspired to have a vacation perfectly in sync with your wishes, keep on reading! WHAT WOULD YOU SAY IF WE MENTIONED A SEASIDE LANDSCAPE very much alike to the one in the Portuguese Algarve region, but, from the period before it has become overcrowded with tourists? If this sentence has put a smile on your face, start your journey from the counties of Seget and Okrug, where you will find that Mediterranean charm in its most authentic form. Friendly hosts, who mainly make their living from agriculture, fishing, shipbuilding and tourism, will accommodate you in polished-up luxury homes, designer apartments and in modernly equipped campsites, located just a few steps away from the beach, which are ideal if you travel with your family! 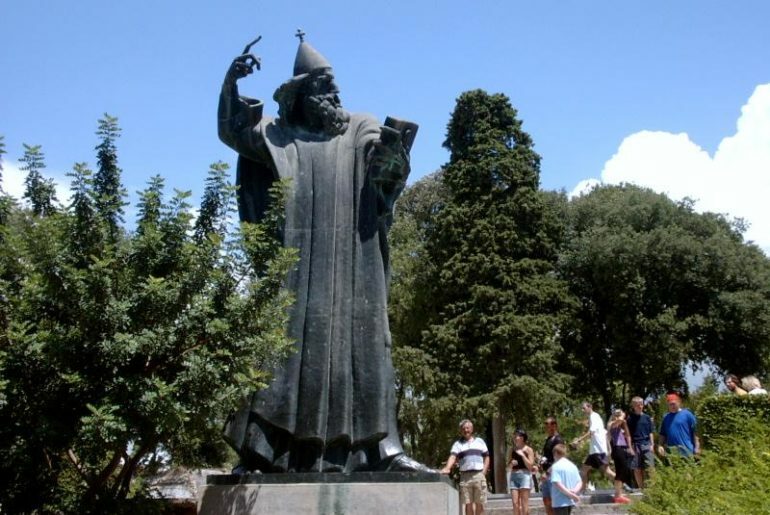 For a chunk of cultural monuments that are on the must-see list, visit one of UNESCO’s pearl, the nearby-located Trogir, and enjoy discovering Master Radovan’s Portal, the Kamerlengo Tower, Ćipiko Palace and other cultural and historical gems that seem to have slipped out of an ancient a story, which is here to present a mix of Romanesque, Gothic, Renaissance and Baroque styles! To grab a break and enjoy in true sea fun, visit Slatine – an idyllic fishermen’s village, and then, make sure, the next place on your travel bucket list are – Kaštela! Get to know these 7 small towns in a somewhat unconventional way – by riding a chariot powered by two beautiful black horses! As this fabulous tour unites Kaštela’s gastronomy, wine and oil tastings, and the most attractive of the local historical and cultural heritage (such as the story of the true Romeo and Juliet from Kaštela, which, unlike the famous Shakesperean heroes, were not fictional), it will give you the perfect intro to the best of the best in these 7 charming places. After a refreshing snack made of homemade prosciutto and cheese, olive oil, washed down with a glass of Kaštelan crljenak (authentic sort of red wine), treat yourself to a new dose of cultural treasures – go for a visit to ancient Salona, or relax all your senses in Our Lady’s Island in Solin – with its glorious greenery and idyllic vistas, along with the murmuring of Jadro River, it will make you think of a scene straight out of paradise! The taste of paradise, ready to surprise your palate, awaits you in Solin’s restaurants – try the trout prepared in numerous ways, or grilled eels, and then, as you approach the heart of this region – the glorious “Flower of the Mediterranean“ – Split, your menu will be enriched by traditional dishes – pašticada, fish & meat grilled specialties (if you prefer lamb, as well as The Game of Thrones series – do not skip the neighboring Klis! 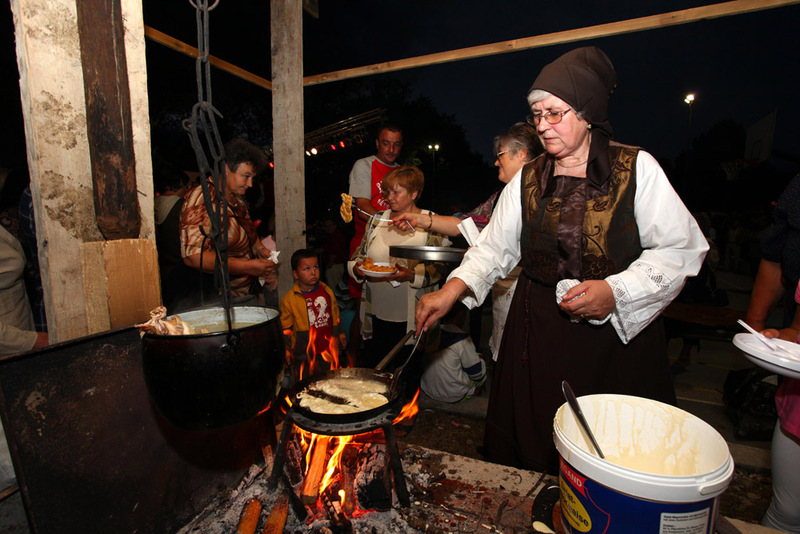 ), all rounded up with traditional sweet bites such as rožata, Split cake, fritule and kroštule, oh believe us – you are in for a real spectacle. 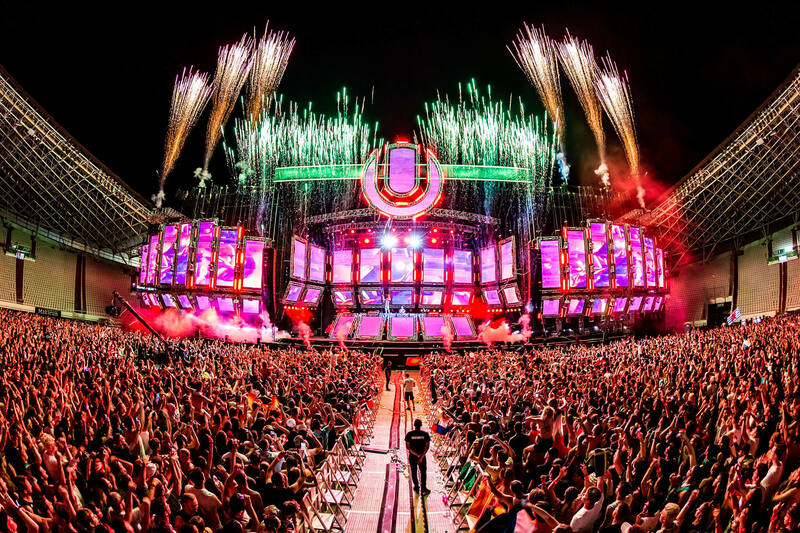 These delicious calories need to be burned off, and the choices are many – from a detailed sightseeing of the old city center and the fascinating Diocletian’s Palace, which will surely be the source of some of your most popular Instagram posts, to the famous game of picigin at Bačvice Beach, or to a few laps around the most beloved green oasis in the city – Marjan Hill, or even an all-night partying at the famous Ultra Festival! Of course, do not forget to drink your cup of macchiato on the sun-kissed Promenade, or walk along famous Marmont’s Street – it’s all about the activities which have become sort of a non-written rule and the city’s real brand, so if you want to feel like a true citizen of Split – it’s inevitable to do all of the above! If adrenaline activities are your favorite treat, then your next stop has to be Omiš – go on a hiking trip to its Fortica Citadel, on the top of Dinara of Omiš, and enjoy the beautiful view of the whole town, the islands of Brač, Hvar and Šolta, as well as the canyon of Cetina River, which you can get to know from another perspective – those of a bird! The zip line, in other words the possibility of flying on a steel rope over the glorious Cetina landscape, has become one of the most popular adrenaline activities. If you would rather test your skills on the river rapids, try the best rafting around! However, if you want to be completely relaxed and also a bit lazy, look no further – this region unites the best of both worlds, so near these adrenaline activities sites, there are also attractive locations where you can spend your time on the beach! The coastal belt that connects Stobreč, Podstrana, Duće, Stanići, Mimice and Pisak, is the ideal getaway for guests looking for an alluring package combining tons of sun and crystal clear sea. Your only task? Reserve your spot on time! 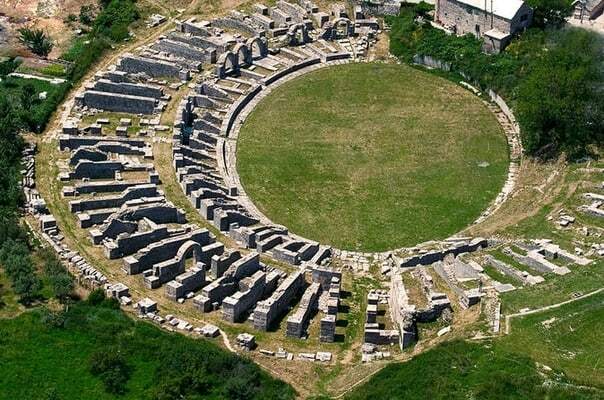 Central Dalmatia has a rich cultural heritage with no less than four UNESCO World Heritage Sites in the region (the old town of Trogir, Diocletian’s Palace, Stari Grad Plain, and the recently added stecchi near Imotski), and the region’s history and historic buildings have always been a magnet for tourists. 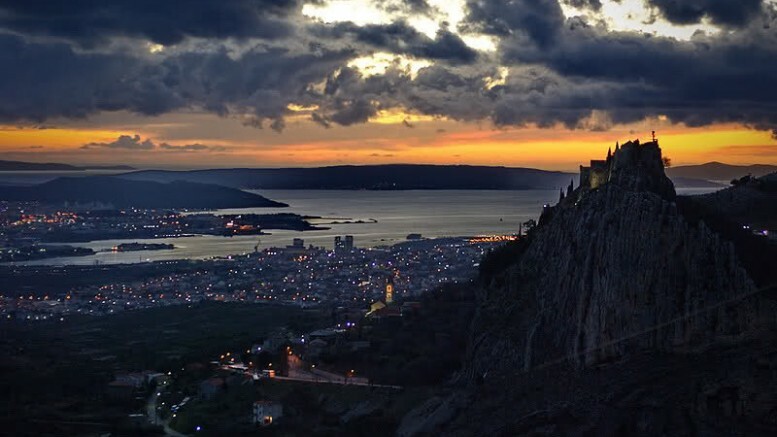 Klis fortress, the former guardian of Dalmatian cities, and a cradle of glorious Croatian history, Klis, with it’s living history, is a silent witness of the past. Because of its geo-strategic position and importance, situated between Mosor on the one side and Kozjak on the other, Klis was an impregnable gateway to Dalmatia, its islands, and the last line of defence of the town of Split. Feel the spirit of the past in a presentation of the defences and way of everyday life on this small, fortifi ed and inaccessible space. Learn about the life of the fortress in the Middle Ages, see weapons from that time like sabres, holsters and cannons. Experience in a costumed presentation how Klis Uskoks (Croatian Habsburg soldiers) defended the fortress from the Turks and their violent attacks. 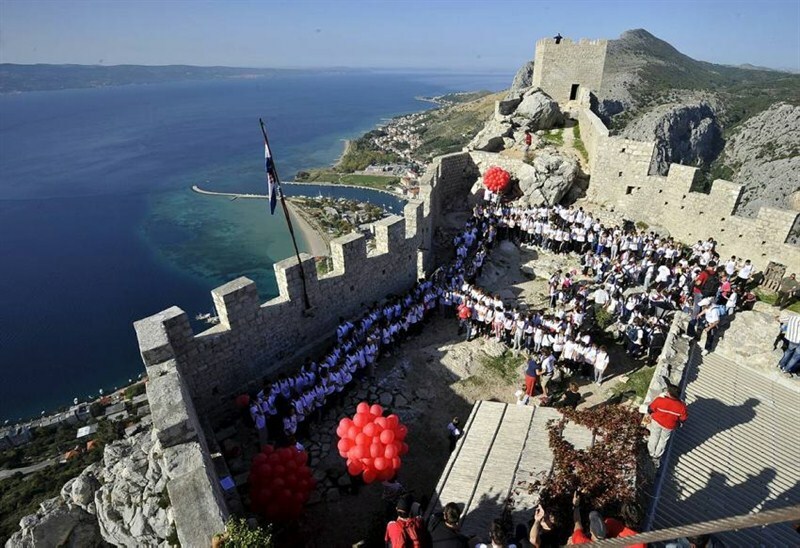 Enjoy an interesting guided tour through the fortress accompanied by a historical group of Klis Uskoks. 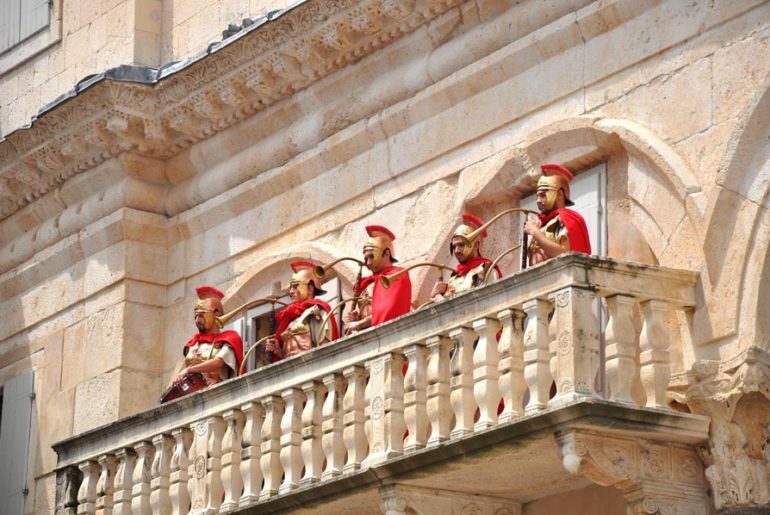 Watch them participate in fencing duels, shooting with a bow and arrow, listen to the melodies of Uskok diplari (musicians playing on a Wtraditional diple) and become a part of the magical history of Klis. The Gripe Fortress is a baroque Venetian fort built in the 17th century, in just eight months with the aim of defence against the Ottomans, having great strategic importance for the town. Following a decision by the Ministry of Culture in 2006, it was placed under preventive protection. Fortica Fortress (Španjola) was built in the middle of the 16th century, on a hill above the old part of the town of Hvar. Today, this fortress is used as a peaceful tourist facility whilst a collection of amphorae and other exhibits both from ancient times and the Middle Ages reminds us of the turbulent history. 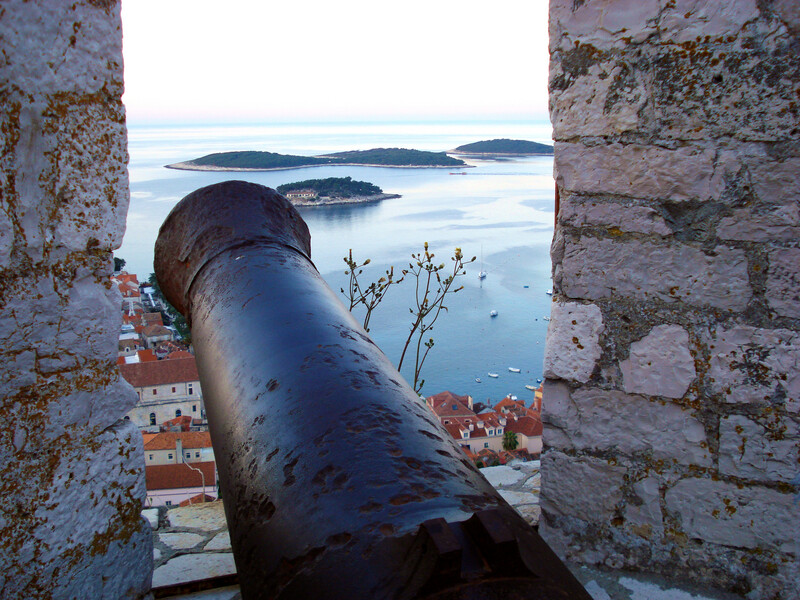 There is a beautiful panoramic view over the town of Hvar and Hell’s Islands extending from the fortress. 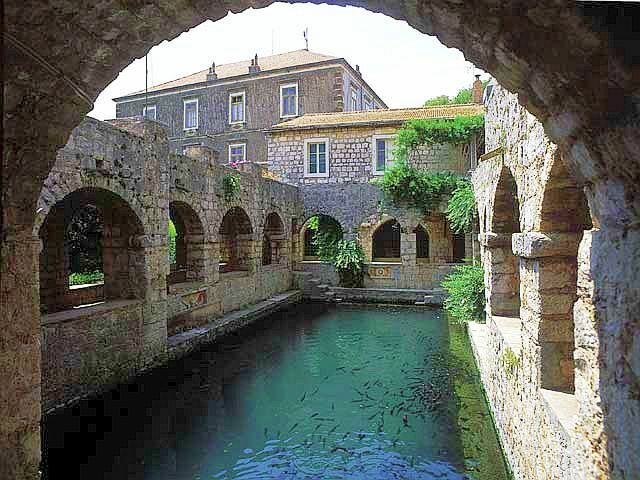 Tvrdalj is the fortified summer residence of Petar Hektorović, the Croatian poet (1487-1572). During the 16th century, the island of Hvar came under attack from the Ottoman Turks. Hektorović, one of the local nobles, undertook to fortify his house so that it could act as shelter for the local citizens. Tvrdalj is a well-preserved Renaissance building, with a long closed facade on the seaward side, to protect it from attack. The interior courtyard contains a sea-water fishpool, enclosed by a vaulted and arcaded terrace. Next to it is a tower with a dovecote. The living quarters, together with the servant quarters, and several wells, are arranged around the pool. Behind the main buildings is a walled garden where Hektorović cultivated herbs and medicinal plants. 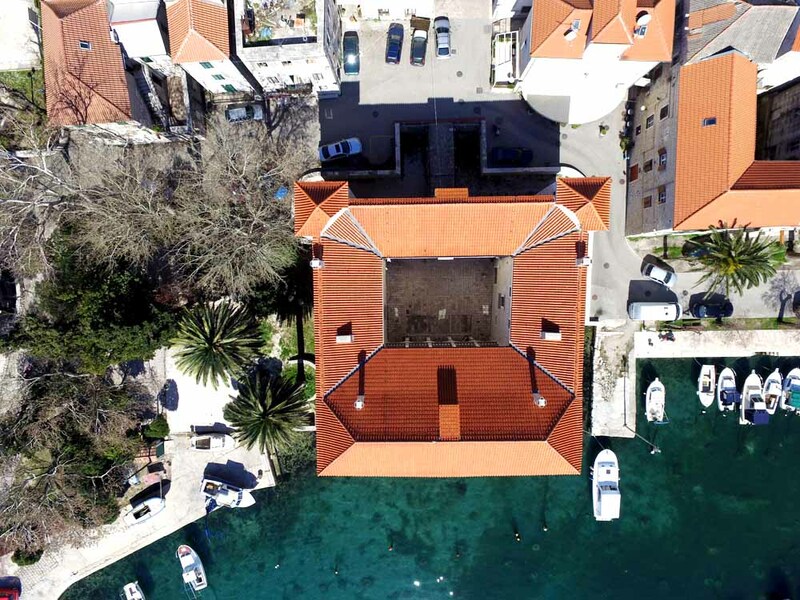 The Fortica fortress is situated on top of Omiš Dinara and from its tower there is a view over the whole town, the river Cetina canyon, the islands of Brač, Hvar and Šolta and the central part of Poljice. 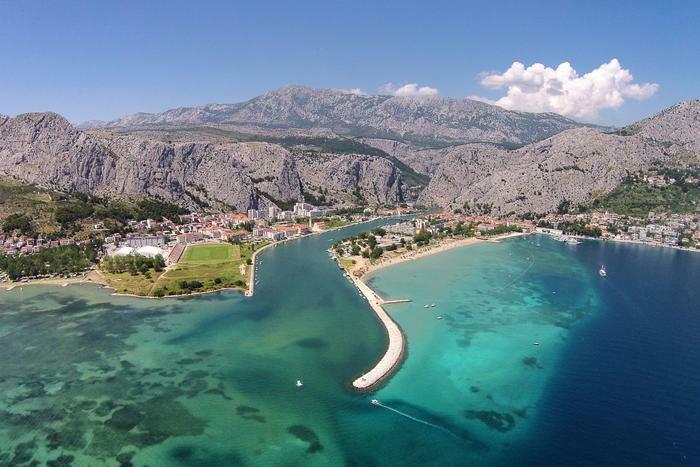 It once provided the Omiš pirates with a great panoramic view, helping them to monitor the sea at large and the land area too. The fortress’ primary purpose was to defend town, but should the enemy have conquested the town centre, the defenders were then ready to launch a shower of large stones onto the town from the top of the mountain. The fortress can be reached by following the pathway for about 20 minutes on foot. The sun, citrus fruits, olive oil, fish and sea food. Of all these ingredients you get dishes that are appealing to the eye and delicious to your palates. They are the main part of Mediterranean diet – the healthiest diet in the world! 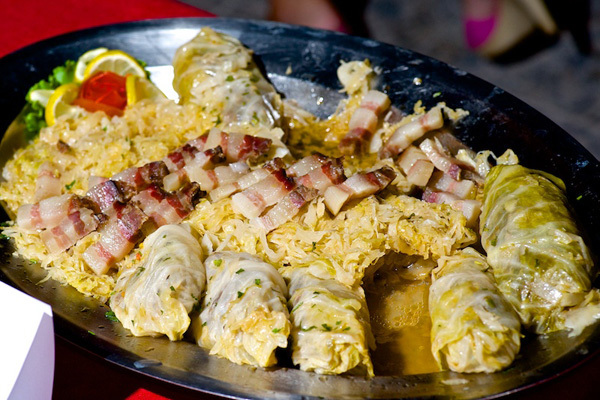 And autochthonous dishes made in the area of Split-Dalmatia County are abundant with these ingredients! Its ideal geographic position reflects rich gastronomic offer of its cities and places. It is full of contrasts in which taste of past times blend with today’s creative cuisines and contemporary tastes. 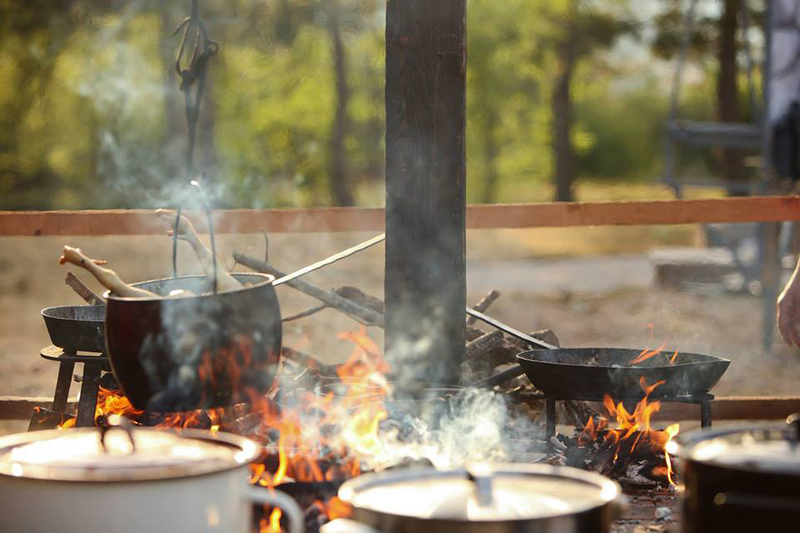 Going thorugh Dalmatian hinterland and its beautiful landscape bordered by the River Cetina, you will find some of the dishes affected by the winds, but also the richness of natural and untouched rivers. The dish we strongly recommend is frogs stew on baškotin – lemon juice is poured over frog legs and they simmer on light fire with all the other ingredients. They can be served on baškotin, traditional type of hard sweet toast. If you wish to visit Trilj, then with already mentioned frog legs you should also try Cetina’s trout. This royal river fish with red dots on it body is becoming very rare in the Cetina River. It is most often prepared on grill, fried or cooked by people from Trilj and Cetina surrounding, and it is very tasty if it’s covered in corn flour and boiled. 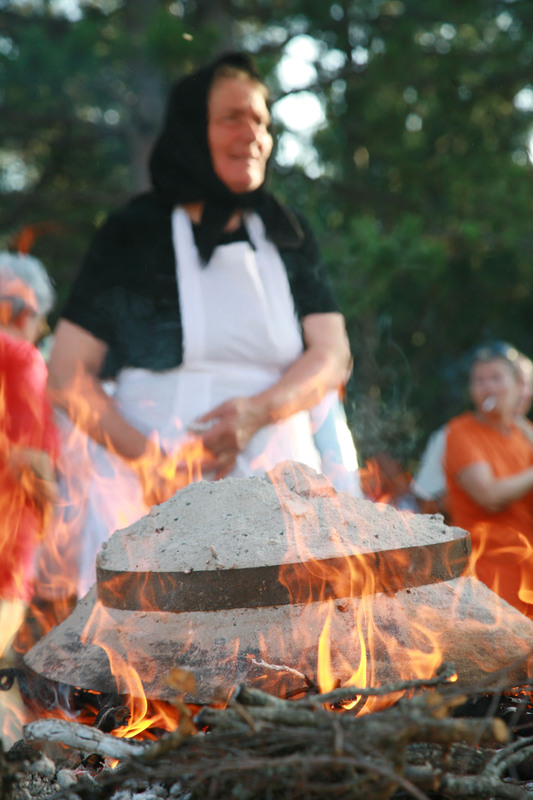 Only a few kilometres away, in famous Alkars’ Sinj you will be offered Sinj’s arambašići. These are cabbage rolls made in traditional way – minced beef or pork rolled in sour cabbage leaves and cooked on light fire. Descending towards the sea you will come across coastal places in Split-Dalmatia County where every good host will offer you lamb bowel with fennel. This is actually lamb tripe, a specialty of coastal cuisine, made of lamb entrails noodles and potatoes, seasoned with garlic and spices. Fennel is the one that gives a special taste to his traditional dish. 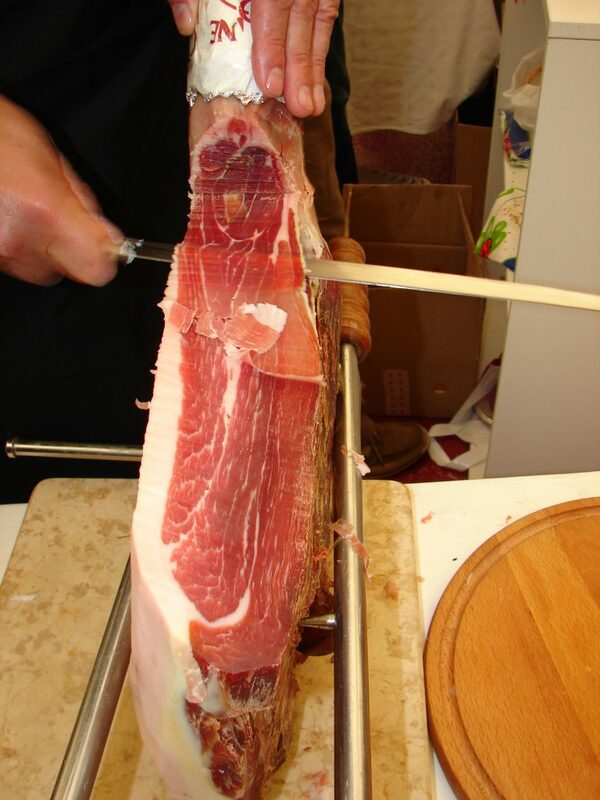 In places of Split-Dalmatia County it is all about tasty and healthy food, so some of the traditional dishes in which locals, but guests as well, enjoy are koštradina – dried mutton, šalamaštrani tongue with capers or polestar – young rooster under the baking lid. Islands’ specialties are Vis’ and Komiža’s pie. In Komiža it is made with combination of salted sardines and tomato sauce with olive oil and parsley, all this wrapped in bread dough. After it is baked, it is cut into squares. And the most important thing…it blends perfectly with a glass of red wine! 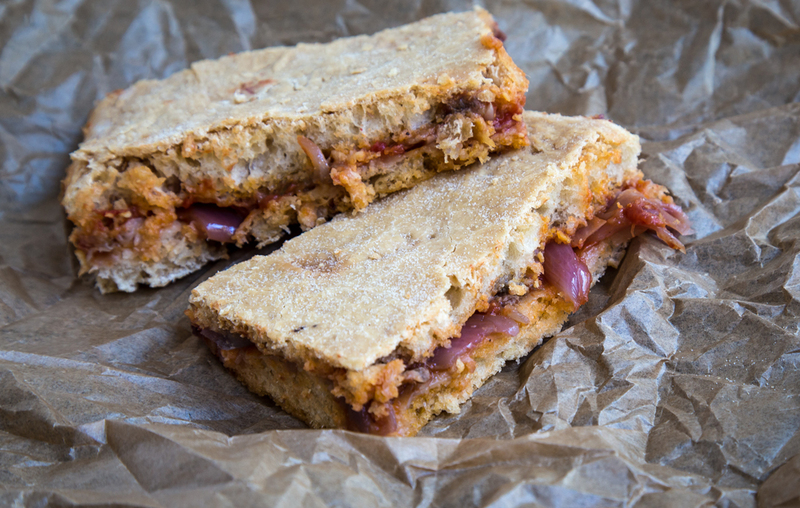 Vis’ pie is very similar, with salted sardines and onions sautéed on olive oil, only without tomato sauce. As every dish ends with a delicious dessert, we end our story of autochthonous dishes with Imotski’s rafioli, traditional dessert made in every household in Imotski on special occasions and for holidays. This Dalmatian sweet is made of dough with walnut stuffing, dipped in brandy and sugar after it is baked. But, this is not all! With prosecco and Makarska’s rafioli as a harmonious Mediterranean couple love was born on many occasions in warm, summer nights. What makes Makarska’s rafioli different from all other sweets is thin, crispy dough with walnut stuffing. For the choosy ones, there is also Makarana cake. Just as Sacher cake is famous with Vienna people and their guests, so does Makarana lure with its Mediterranean magic. With all these delicacies, paprenjaci biscuits mustn’t be forgotten. Their main ingredient is saffron, which was, together with honey and coriander, very important product on islands in 16th century. On the island of Vis you can sweeten your tooth with hib – former farmer’s pie made of figs, aromatic herbs, almonds and homemade brandy.